Where was I? 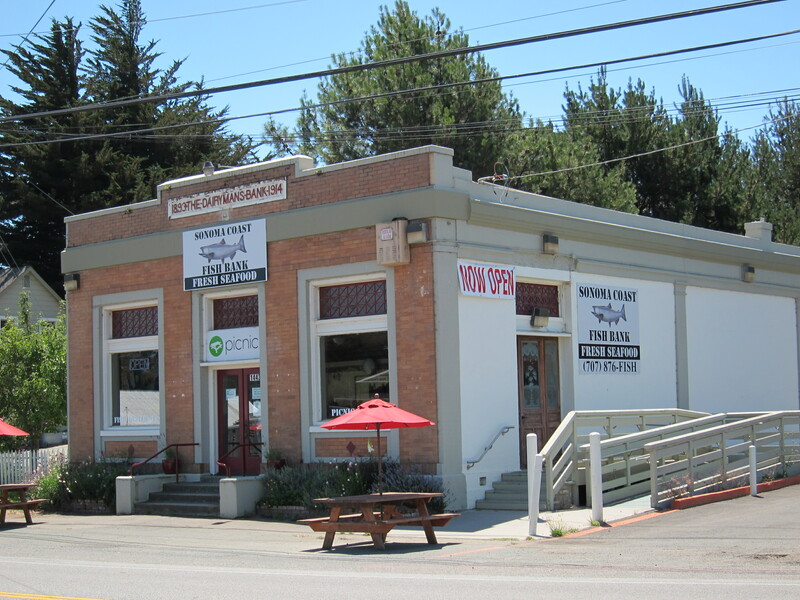 Yes, Tamales Bay. The fog on the distance, where the Ocean is. 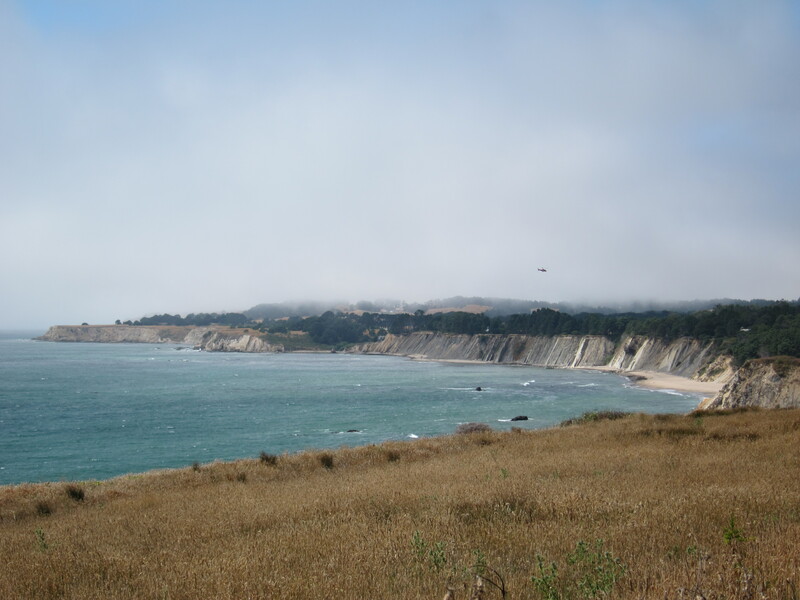 From Tamales Bay I continued north, the road distances from the Ocean for a while. I stopped for photos in several of the small communities along the way. 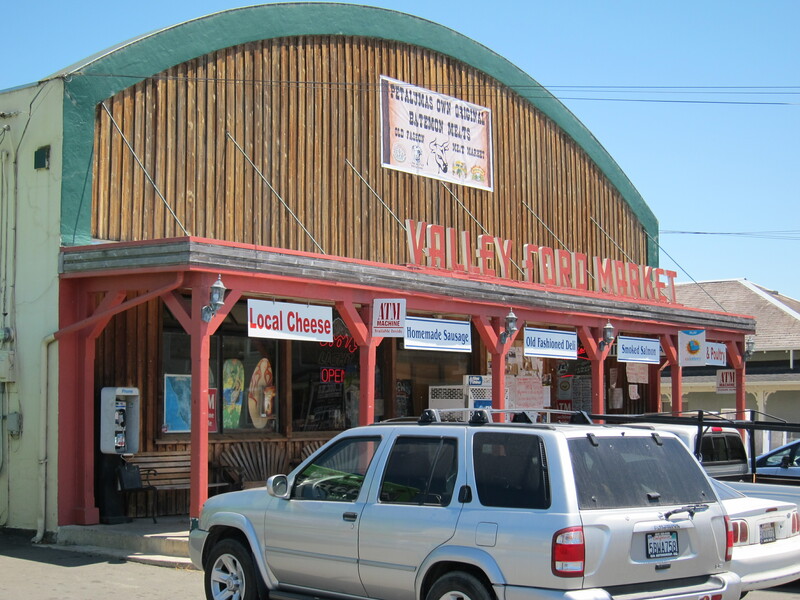 In Valley Ford, the results of the evolving economy through many years: from a local bank for dairy farmers to a fish store called fish bank. The local community banks may have lost the battle to the large global networks. But local produce, homemade food products are advertized and hopefully they acquire a stronger presence in the markets than the large scale operations. What is the meaning and impact of economies of scale on quality of life? “Local”, “homemade”, “own”, and “old fashioned” are strategic marketing words for food products today. 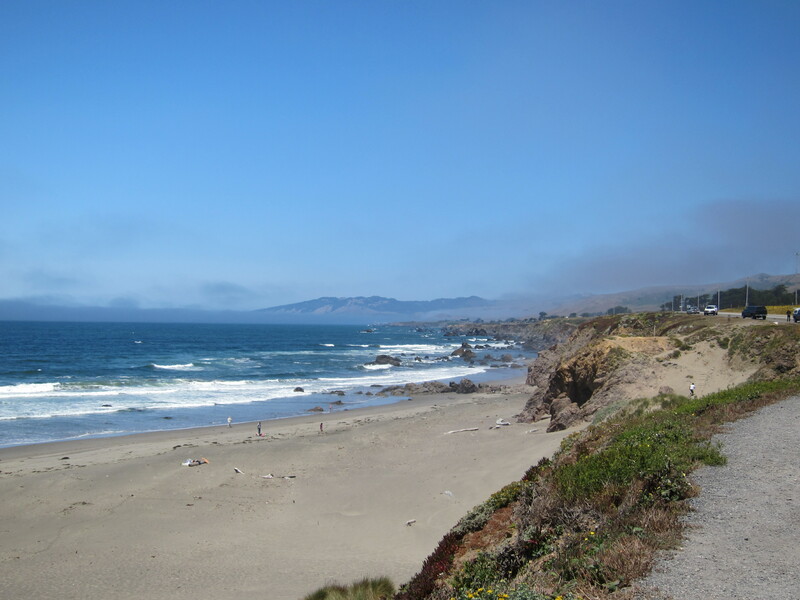 The road takes me back to the Ocean, and I arrive at Bodega Bay. The fog has turned into a few clouds far away. I entered one of those Golf “Communities”, where nice houses are built around and in the middle of a carefully designed golf course. 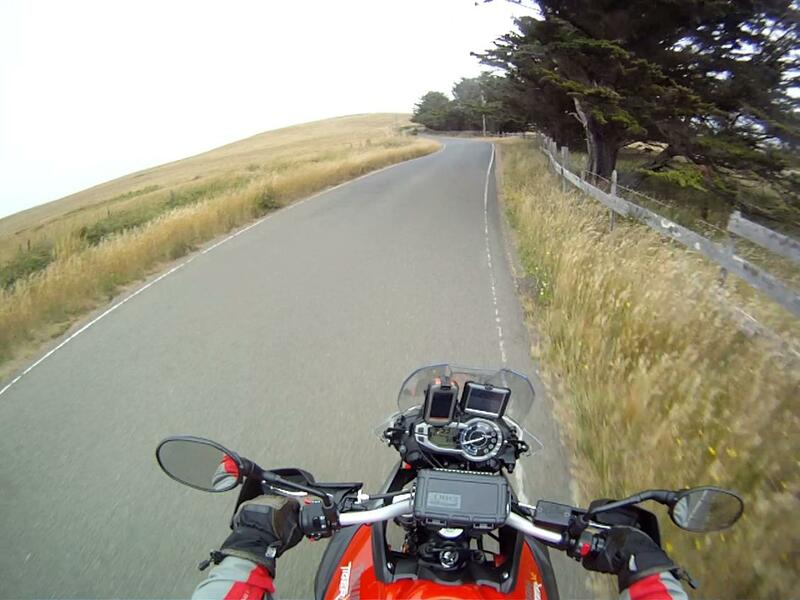 One advantage of having motorcycling as a sport and hobby is that it won’t chain you to a location. 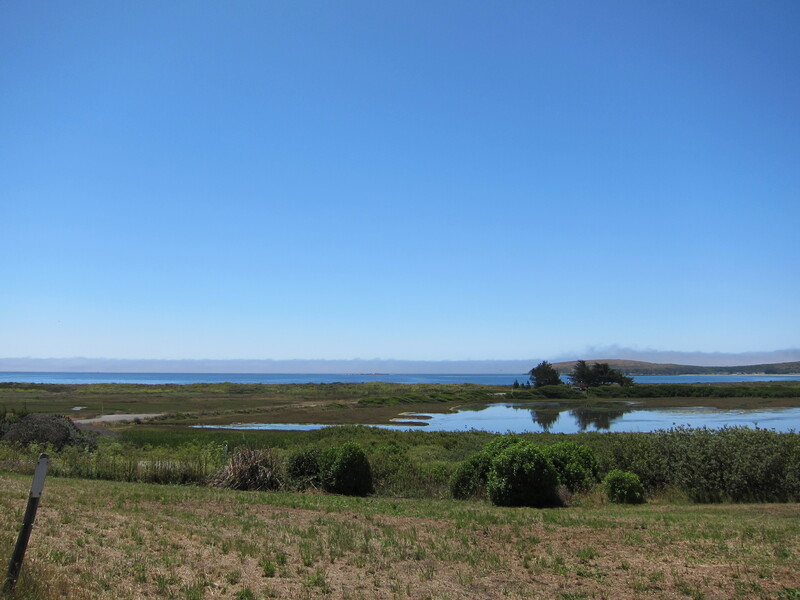 Bodega Bay, the city, on the distance. 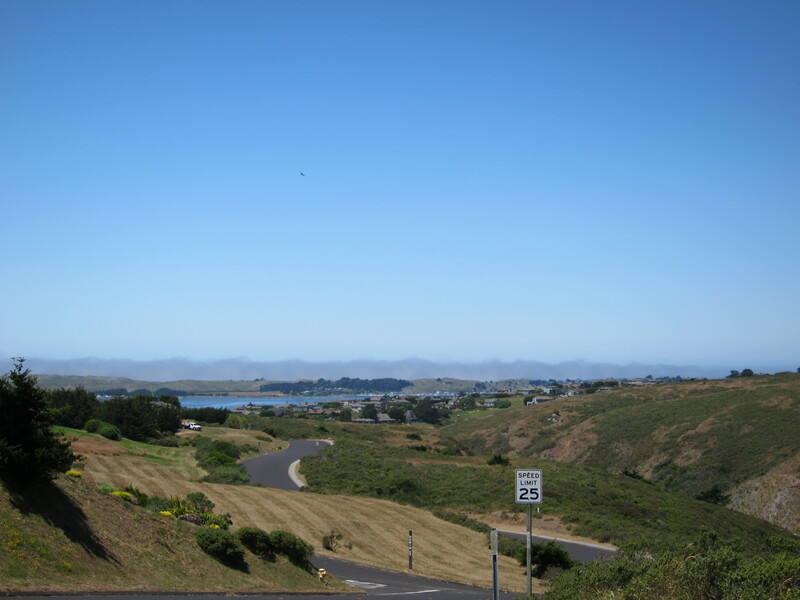 Bodega Bay viewed from a Golf Course Neighborhood. California, July 26th, 2011. 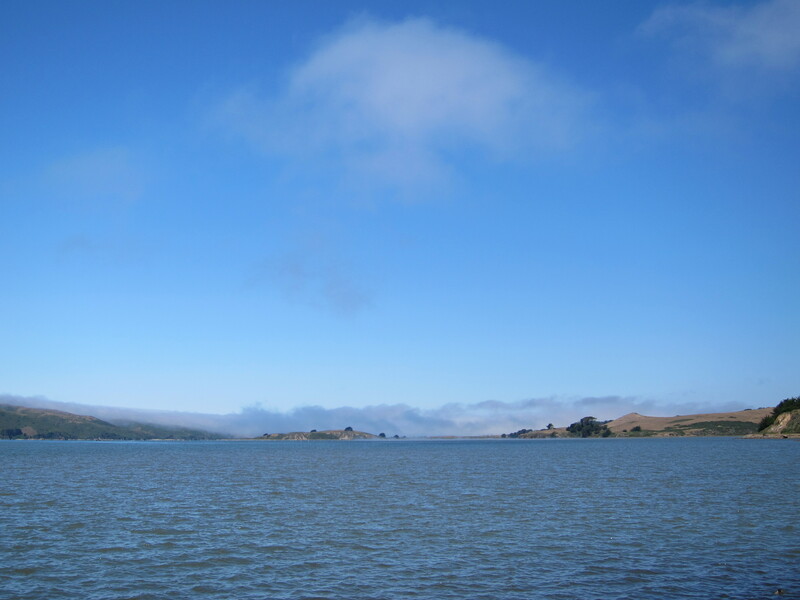 It was getting close to lunch time around the time I went through Bodega Bay. It is a large community and it took me a while to clear urban areas. There was some traffic on the road, not too much. Many motorcycles. Going through the city I could smell the different food being prepared on the restaurants along the road: Fish and chips anyone? Tacos? A burger? Many motorcycles parked up front, some restaurants had tables outside. I wanted to keep going so I survived the lure of the food smells. This road is absolutely fantastic. 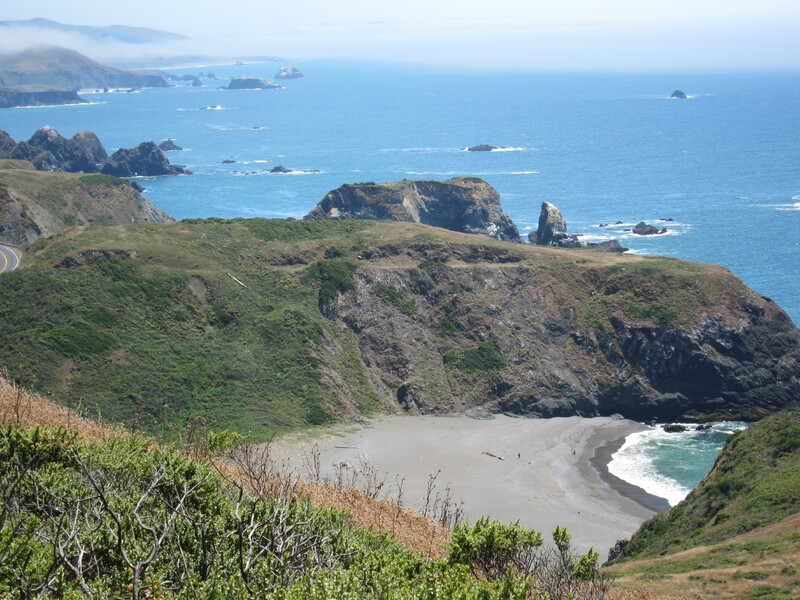 As it goes north of Bodega Bay, traffic thins out, the road gets better, the views get better. 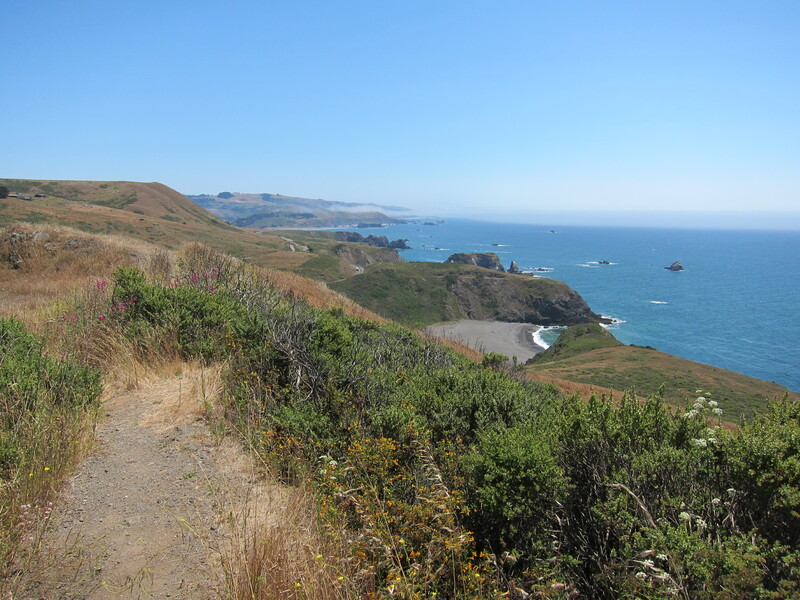 Here is a view of the road and the Ocean views, north of Jenner, CA. A close up, of the same photo above. 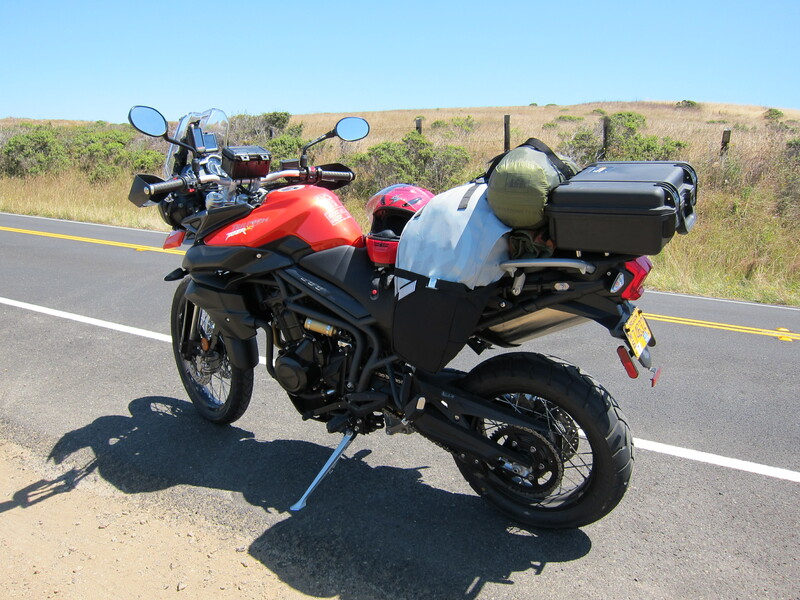 At this point while I took these pictures, I was passed by a group of three motorcycles, that I would call an odd combination: A Ducati Multistrada 1000DS, a Triumph Scrambler, and a Harley Davidson Sportster. I passed them on a road construction flag, they passed me back on another opportunity, and we leap-frogged each other for a while. They were always on that order: Ducati on the lead, followed by Triumph, followed by Harley. 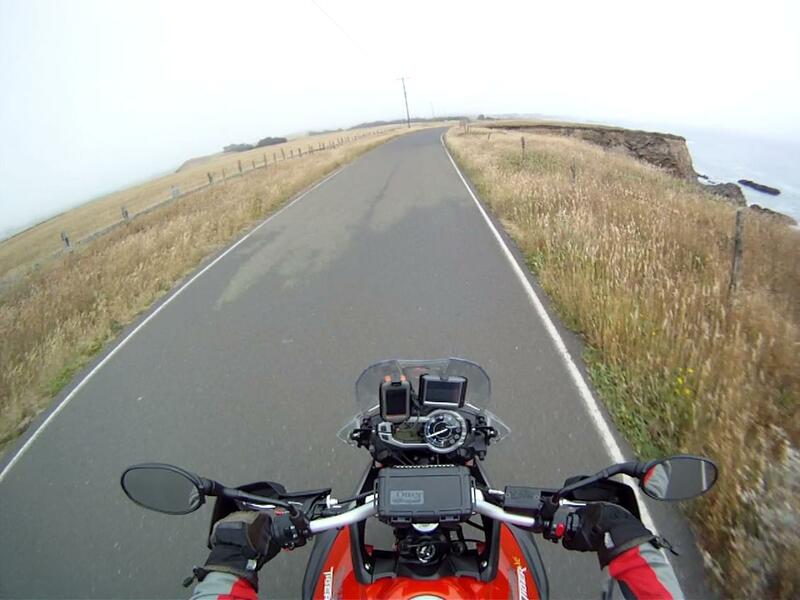 Several miles later, going past Gualala and getting close to Point Arena. I could stop at every 100 yards to enjoy the views and take beautiful photos. It is such a beautiful coast line. Looking south. 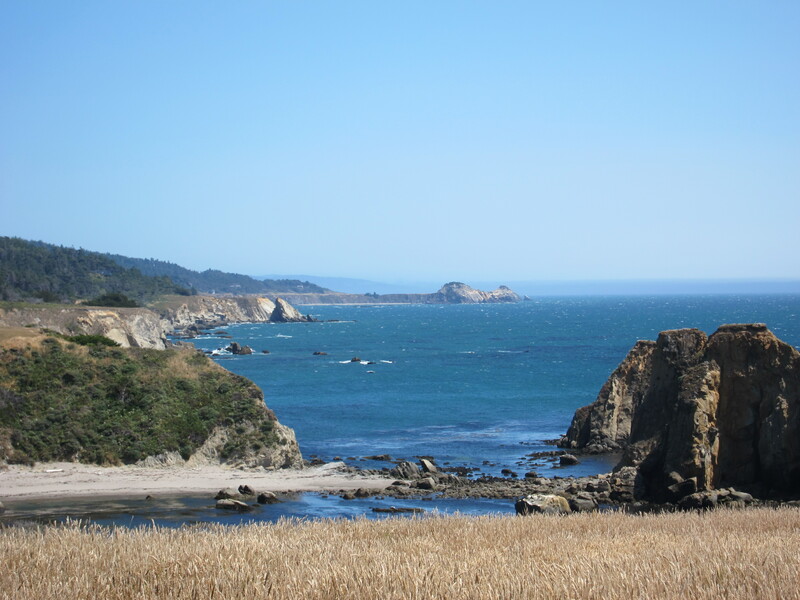 Looking north towards Point Arena. The fog is setting in again. Notice the helicopter on this picture. When I continued north, this is the scene I found to the side of the road. Don’t know what it was about. 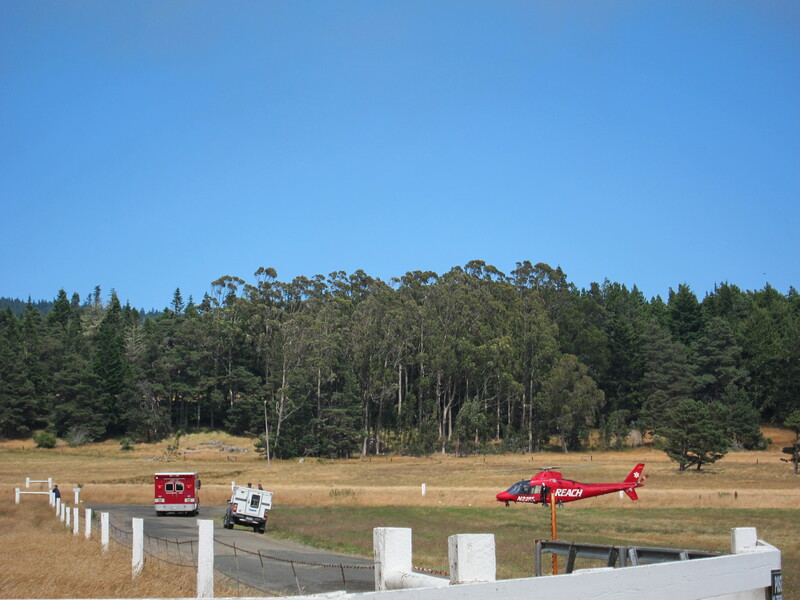 But the ambulance and the helicopter arrived at about the same time at the scene. Hopefully whoever was in need of assistance was OK. 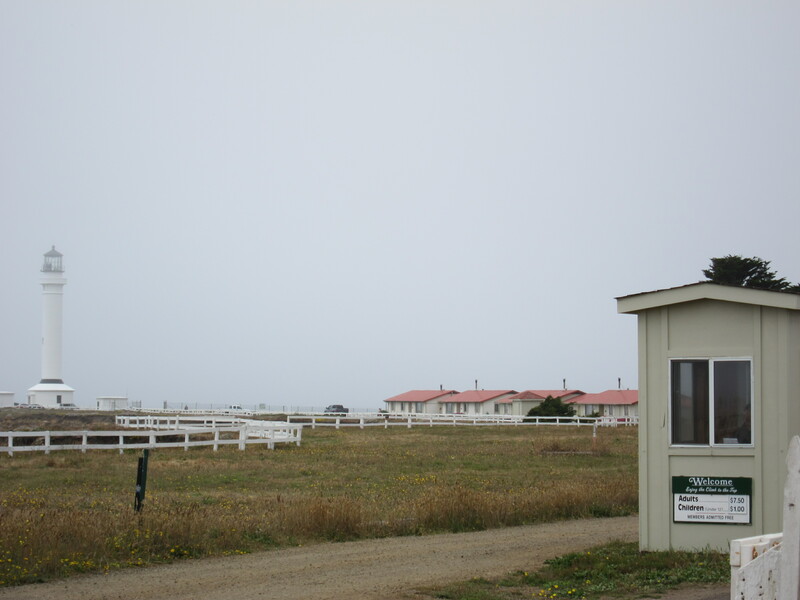 The city of Point Arena. Just north of town there was a sign for a road going towards the ocean, to the Point Arena Light house. I decided to go check it out. It was one of those single lane paved roads. Fun to ride. When I got to the lighthouse, I would have to pay $7.50 to go see it close up. I decided not to pay that money for a one-minute view of the lighthouse since I was on the move. So this is my picture of it. 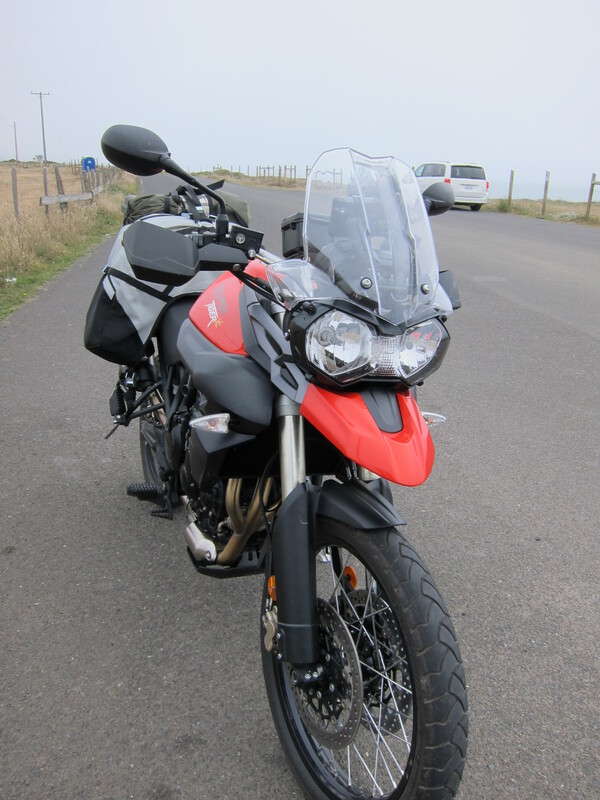 Every now and then I have to add a picture of this beautiful bike on the report. I enjoyed the experience of riding on that single lane road. And this is a video of the ride on this road. This bike is really special, it is really a pleasure to ride. Smooth, really smooth. 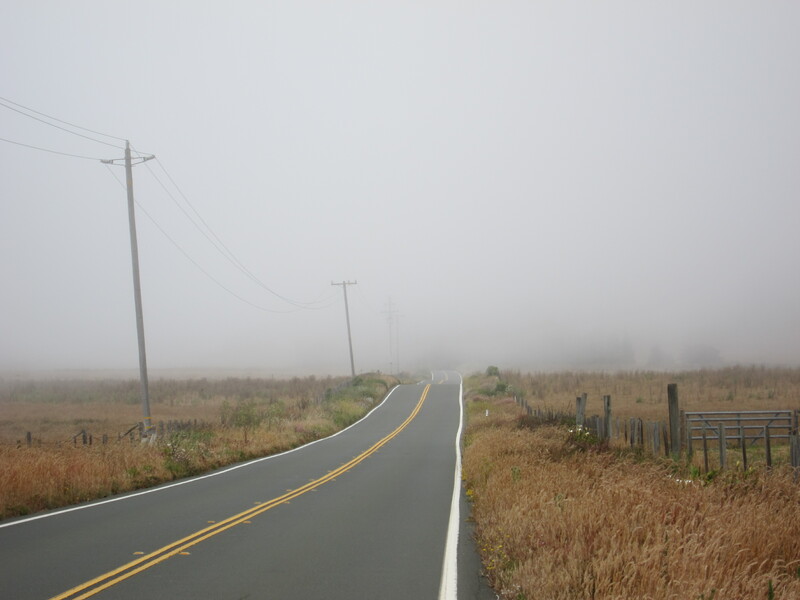 Continuing north, fog rolls in, bringing another facet of “beautiful” to the landscape and the experience. 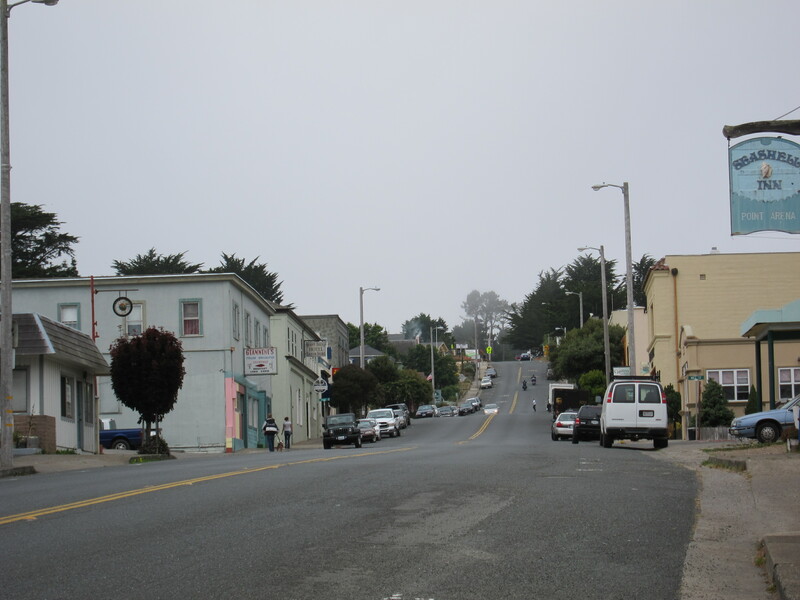 Next: Day 3, Part III (To Westport, CA).